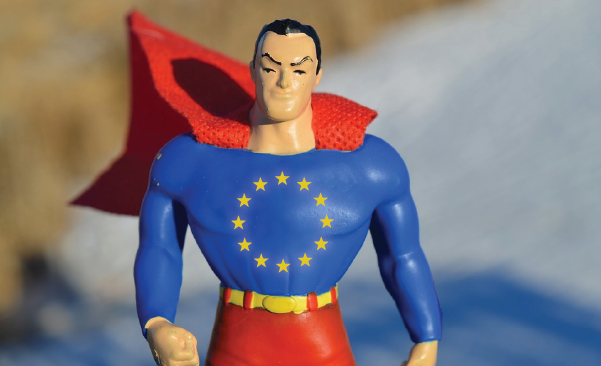 Are net neutrality and privacy Europe’s brilliant way of trumping destructionism? For the online economy to work, trust and competition are needed. Trust to drive take-up of services and competition to drive down prices and drive up innovation. The 2016 Eurobarometer (pdf) survey found that nearly 60% of individuals in the EU had avoided certain websites for privacy reasons, while 82% were in favour of restrictions on cookies. This shows how important clear privacy rules are for individuals and for trust in the online economy. The European Union has addressed this problem head-on, by proposing and adopting the General Data Protection Regulation (GDPR) and, more recently, proposing the e-Privacy Regulation. Clear rules, with effective enforcement, generate trust and provide a harmonised market for companies serving individuals in Europe. The US national telecoms regulator the Federal Communications Commission (FCC) also saw the danger from the “wild west” of personal data exploitation online. The danger was illustrated when the National Telecommunications and Information Administration carried out a survey in 2016. This study found that – in the previous 12 months – 19% of internet-using households had suffered an online security breach, while 45% had refrained from an online activity due to privacy and security fears. Faced with this compelling evidence of the damage caused by lack of trust and security, the FCC tried to act in October 2016. It passed ground-breaking privacy rules (by 3 votes to 2) to protect broadband users and improve trust. However, it was not possible to enshrine the rules in law, meaning that the rules are contingent on the whims of the Commissioners. The appointment of a new FCC Chairman by the incoming president makes it almost certain that US citizens – and the US online economy – will be robbed of this essential protection… unless they use European services, of course. Far from GDPR and e-Privacy being European protectionism, the US laissez-faire approach appears to be self-inflicted US destructionism. In 2013, the EU was faced with increasing evidence of internet access companies seeking to undermine innovation and competition online. It was faced with calls to legislate to protect discriminatory “specialised services” which would allow big online companies to sell “fast lane” to gain access to the customer base of big telecoms operators. Not alone did the European Union not give in to this huge lobbying effort, it legislated in favour of rules that will prevent big telecoms operators from becoming a gatekeeper that stops the full internet being accessible to their customers. It legislated for openness and innovation with a binding EU-wide regulation. The Federal Communications Commission saw the same danger as the European Union. However, it was not possible to enshrine net neutrality in law. All the FCC could do was to adapt its own implementation of its own rules and powers to defend the online environment from big telecoms operators, in a market that was already less competitive than the one in Europe. As a result, those rules are contingent on the whims of the Commissioners. The appointment of a new FCC Chairman by the incoming president makes it almost certain that US citizens and online businesses will be robbed of this essential protection. Europe has legislated for open, innovative, better value online services. If the US abandons net neutrality and privacy, it will be opting for self-inflicted destructionism. Only the EU could have adopted positive, exemplary legislation on this scale to protect individuals and businesses. And it did.